At a time when many white students are preparing for their life by going to college, many black youth are preparing each other by learning how to evade the police, because they know it’s just a matter of time before they become a target. This is not a joke. Black kids KNOW it’s just a matter of time before they will be harassed by cops for absolutely no reason. When they are old enough to drive many get pulled over an average of once a week. There is no violation. They are just black and cops often do whatever they can to find a reason to arrest them, smash their windows, use their tazers even in front of their children, terrifying them. They don’t care what they do in front of children. Everyone has seen the videos. I have two half black grandsons. If I didn’t, I could like all white people and say, they probably did something to deserve it. It really affects my life because I’m white and cops smile at me. But they won’t be smiling at my grandsons, so I’m in this fight for the long haul. One in three black men go to prison at some point in their lives. With 2 grandsons what are the odds of at least one of them will go to prison? A black man doesn’t need to be guilty. We hear often of inmates being set free because they were finally proven not quilty. Over 70% of these men are black. It starts in childhood. Kids play act what they see. A game of tag becomes instead, pretending to be a cop and a criminal and learn how to arrest each other and pretend to cuff their playmates and do cavity searches. This is real life to black children. What makes it even harder for black youth is the way schools punishment them, starting with the attitude of many teachers. Racism in schools is rampant. Many teachers teach racism by their actions.Why is it that teachers find it so easy to expel a black child, when a white child mihg de only get detention for doing the exact same thing? An after school fight for two white boys more than likely will end with their parents being called. If you are black, the police will be called and they get their first taste of jail and end up with fines. If they can’t pay that fine they are arrested again. Minority families with lower incomes are affected the most. When a child is removed from school it begins a spiral down that becomes an inability to finish a high school education. Forget college. This is what happened to Jamie’s life, and there was no one who could help him or his mother change the outcome. By the time he was in his mid teens with his high school years just beginning, the court system was doing it’s damnedest to end his possibilities. He is 33 and he still isn’t allowed to take the test to get his GED. He’s a smart man. He would love to have an education. With more time to go and still having no education, what are his chances? Educating inmates lowers the recidivism rate back to prison. Getting a GED, learn a trade or take college classes. I don’t know yet what it will take to get Jamie involved or when it can begin, but it is worth finding out. I can only think that something like this would help him with parole. This isn’t automatically offered to inmates. An inmate need someone on the outside who takes the time to find out about it. Overall, there needs to be more stress on inmate education if you want to slow down the revolving door for those who want to get off the ride. This past year the subjects of prisons and decreasing the population has been a hot topic. Are the politicians serious? Or is it all talk? In this election year I have heard more hate talk and about people that shouldn’t be allowed to live here. The KKK is endorsing Donald Trump. If by chance he wins, what will they expect back? A large amount of people think we should have never freed the slaves. Are these the people who become cops who kill and teachers who expel black kids? Who taught these adults when they were kids that hating another race was okay? Who taught the adults today they are superior? Because somebody did. Are these people who think they are better, because they are white ever going to want these black people back into a society that doesn’t want them there in the first place? This presidential election year has shck n me how hateful, cruel and judgemental the people of America can be and it scares me. Politicians have to loudly proclaim the are Christians but their actions at makes a country great, since making America great again seems to be such an issue, is the people in it. When I see the incitement of hate, and the cheering that goes with, when I see a candidate say he wants to punch a man at his really and people cheer it’s like watching America vomit all over itself. Racial differences in school discipline are widely known, and black students across the United States are more than three times as likely as their white peers to be suspended or expelled, according to Stanford researchers. Yet the psychological processes that contribute to those differences have not been clear – until now. In the study, “Two Strikes: Race and the Disciplining of Young Students,” which was recently published in the journal Psychological Science, Eberhardt and Stanford psychology graduate student Jason Okonofua reported on two experimental studies that showed that teachers are likely to interpret students’ misbehavior differently depending on the student’s race. In the studies, real-world primary and secondary school teachers were presented with school records describing two instances of misbehavior by a student. In one study, after reading about each infraction, the teachers were asked about their perception of its severity, about how irritated they would feel by the student’s misbehavior, about how severely the student should be punished, and about whether they viewed the student as a troublemaker. The researchers randomly assigned names to the files, suggesting in some cases that the student was black (with a name such as DeShawn or Darnell) and in other cases that the student was white (with a name such as Greg or Jake). Across both studies, the researchers found that racial stereotypes shaped teachers’ responses not after the first infraction but rather after the second. Teachers felt more troubled by a second infraction they believed was committed by a black student rather than by a white student. 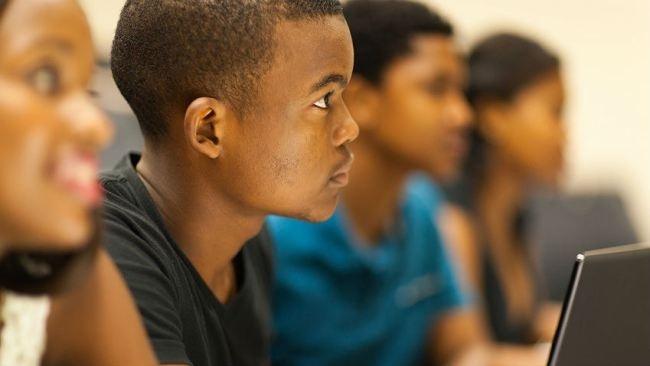 In fact, the stereotype of black students as “troublemakers” led teachers to want to discipline black students more harshly than white students after two infractions, Eberhardt and Okonofua said. They were more likely to see the misbehavior as part of a pattern, and to imagine themselves suspending that student in the future. “We see that stereotypes not only can be used to allow people to interpret a specific behavior in isolation, but also stereotypes can heighten our sensitivity to behavioral patterns across time. This pattern sensitivity is especially relevant in the schooling context,” Eberhardt said. These results have implications beyond the school setting as well. Both Okonofua and Eberhardt suggested that useful interventions with teachers would help them to view student behavior as malleable rather than as a reflection of a fixed disposition, such as that of troublemaker. While racial disparities can be lessened by psychological interventions that help improve black students’ behaviors in class, it is also important to understand how that behavior is interpreted by teachers and school authorities, Okonofua said. Previous Article Sometimes I Ask Myself, Why am I still Alive?